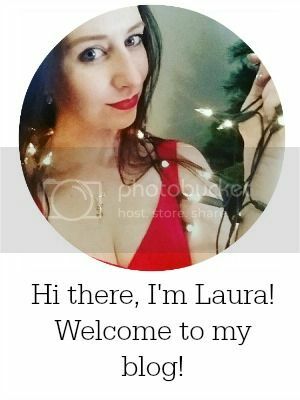 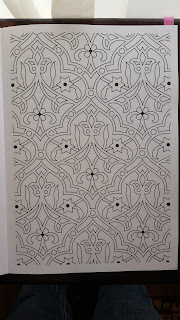 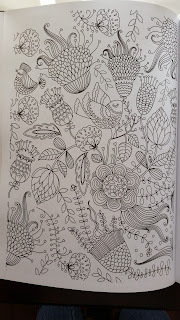 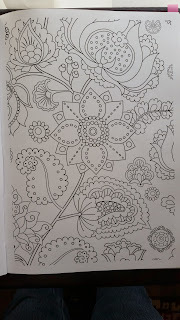 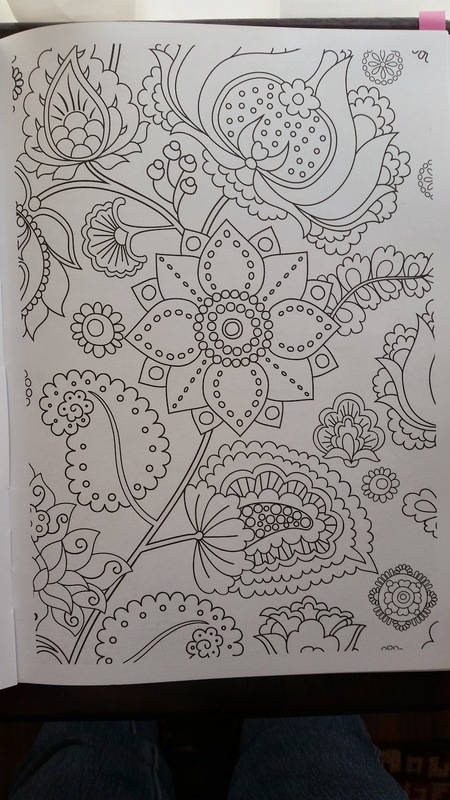 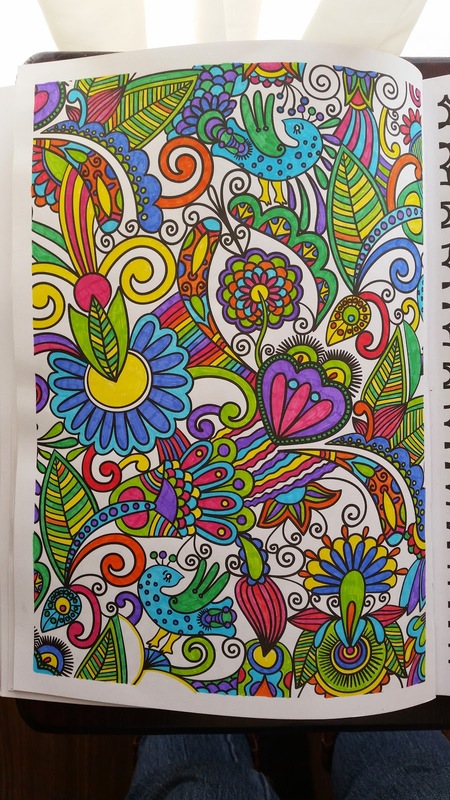 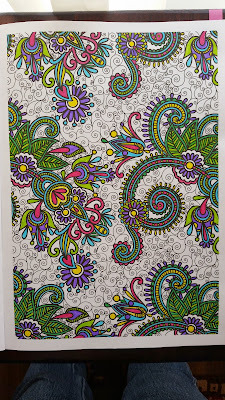 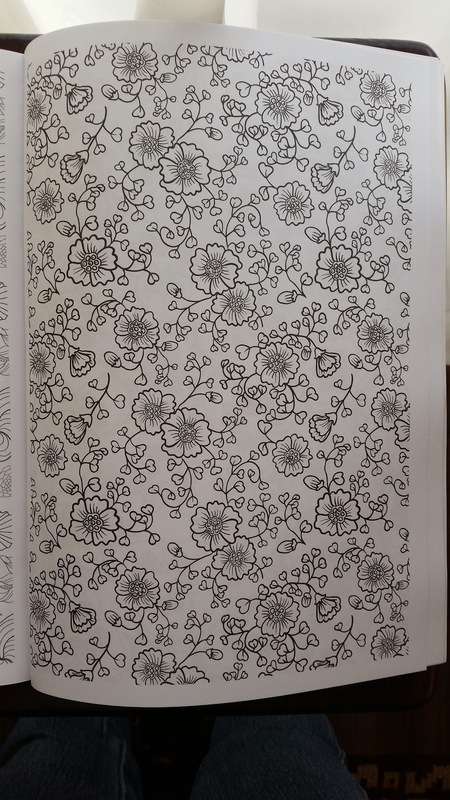 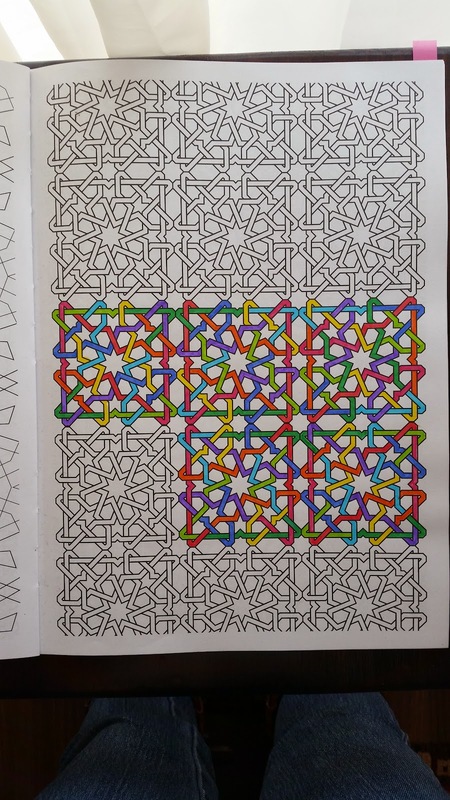 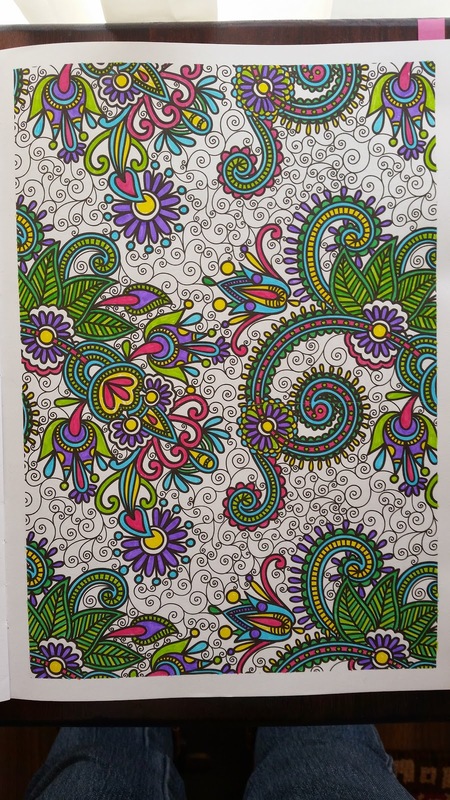 About a month ago, I wrote a blog post about colouring in for adults (you can read it here if you haven't seen it yet). 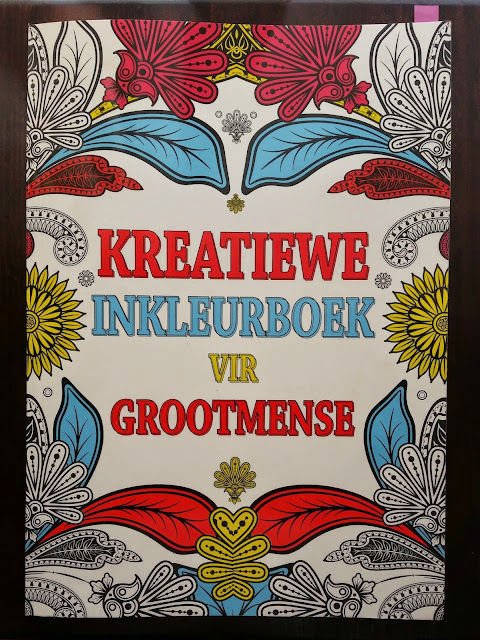 At the end of that post, I mentioned that I had just bought the "Kreatiewe Inkleurboek vir Grootmense" (Creative Colouring Book for Adults). 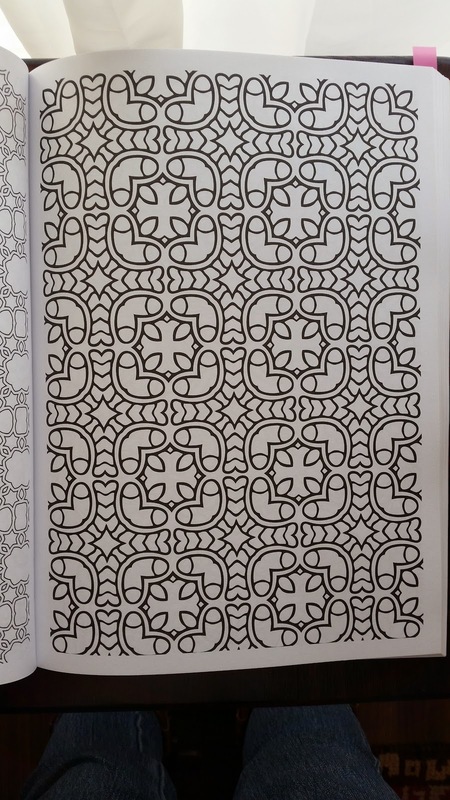 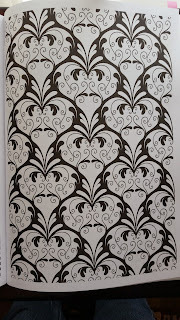 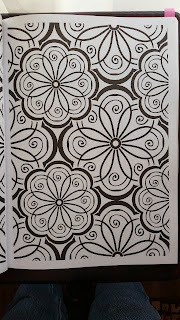 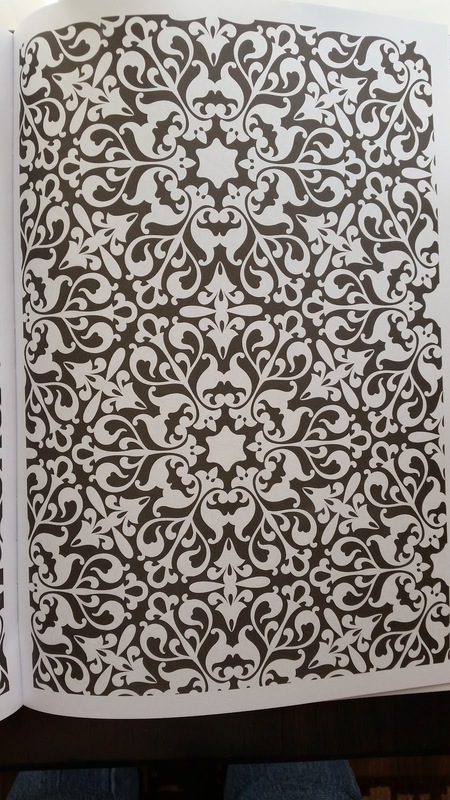 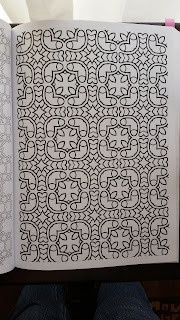 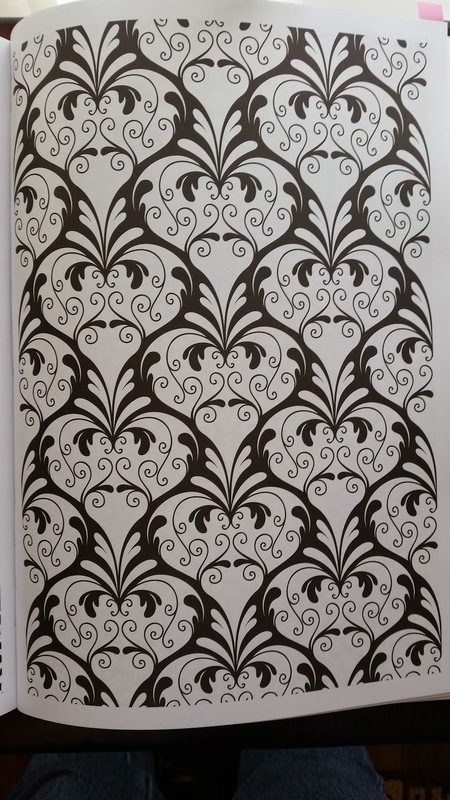 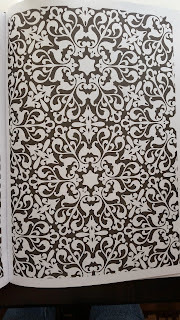 This book has a nice mixture of geometric and graphic designs, and has both really simple and really intricate pages. 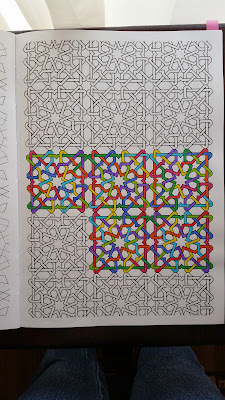 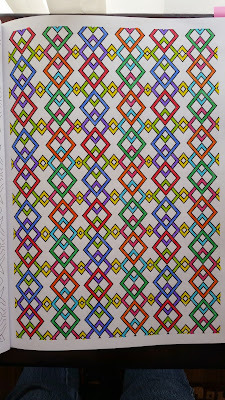 The paper is nice and thick, I've only noticed a little bit of colour showing through when using kokis. 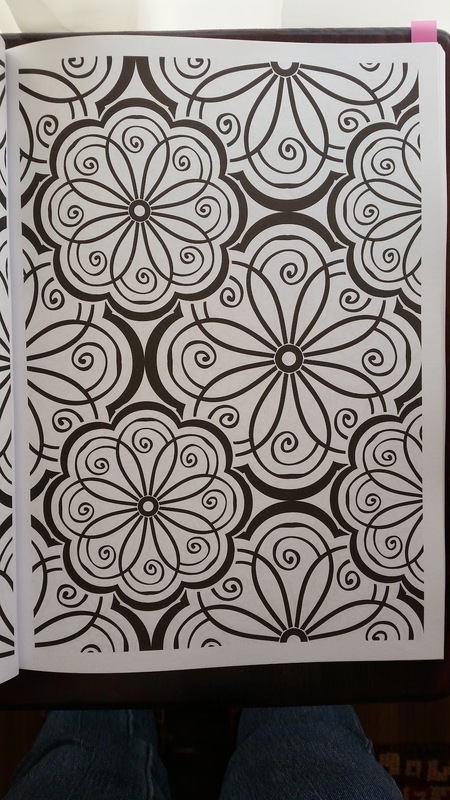 The designs are printed back-to-back, which is the only things I'm not a fan of (I would prefer single-sided). 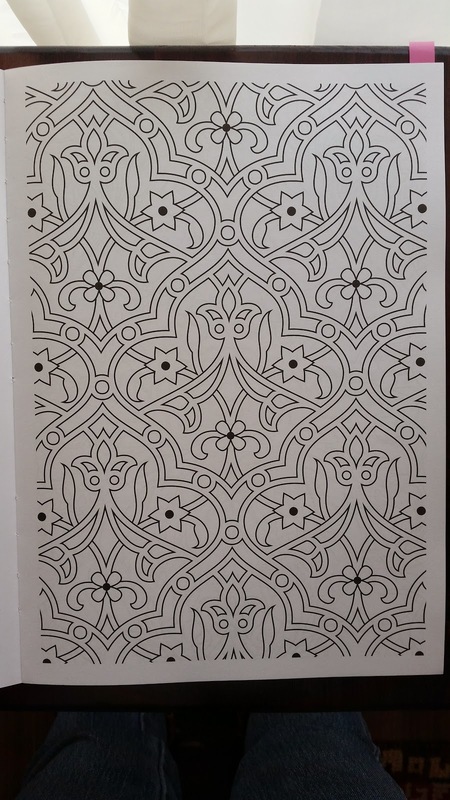 Here are a few of the pages I've been working on recently. 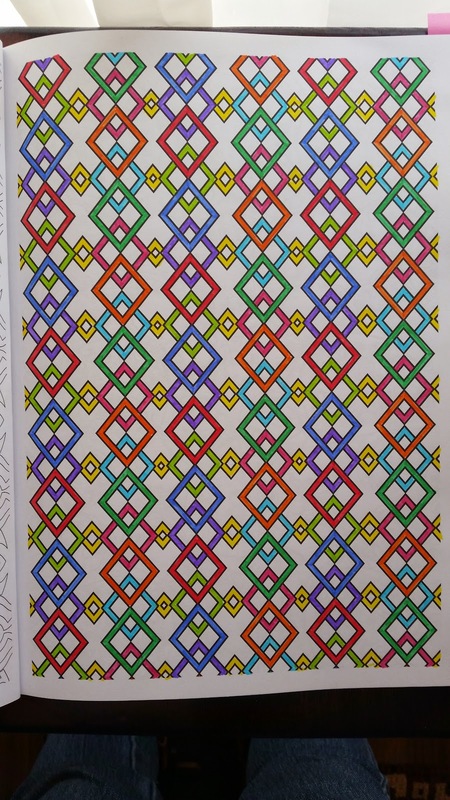 I'm still loving the bright, bold colours of kokis, but will be playing around with pencil crayons next. 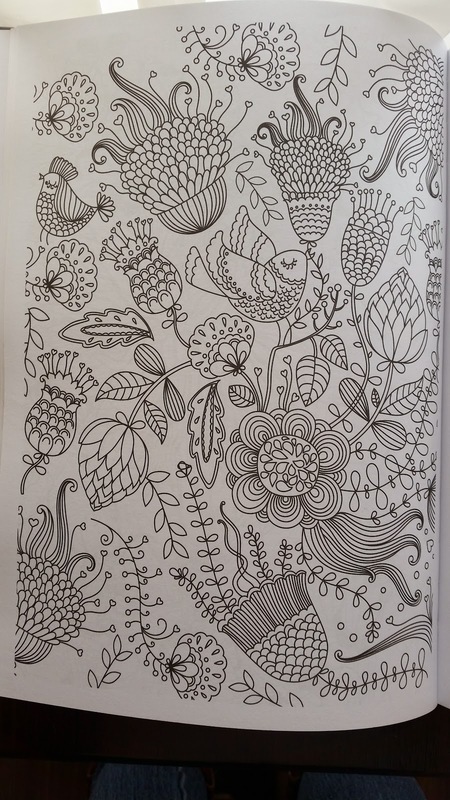 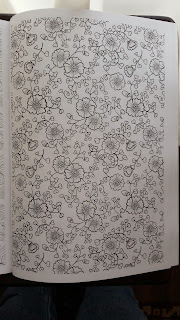 So - what are your thoughts on colouring-in for adults? 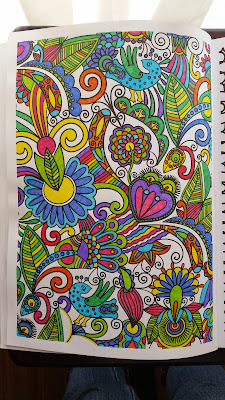 Are you also hooked on this stress-relieving activity or do you not understand the hype?